If you have a dog who barks incessantly for whatever reason – to be fed, at the mailman, because he’s bored, to get your attention – you’re probably wishing your dog had an “off” switch. Even if the barking doesn’t bother you, per se, you don’t want to be “that neighbor” with the obnoxious barking dog that everybody hates. So what can you do? Shouting at him to shut up rarely helps. 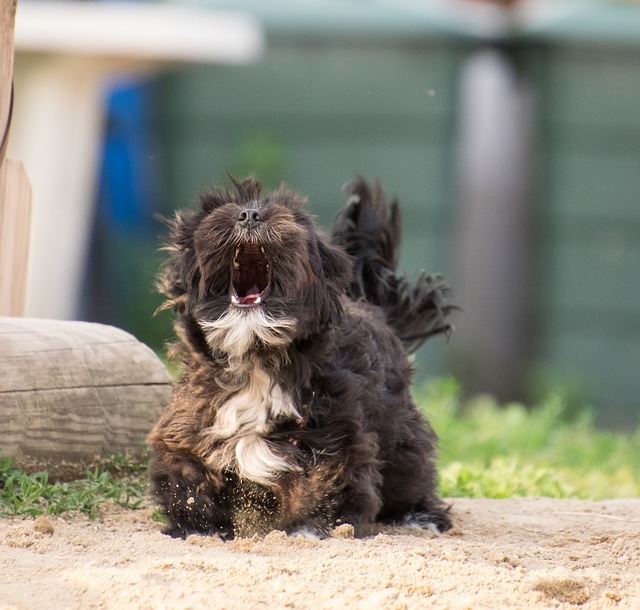 Luckily, there is a way to get your dog to quit barking on cue. It may help to teach your dog to “speak” first so that you can teach “quiet” on your own schedule. Otherwise, you’re stuck waiting for your dog to bark before you can work on training sessions. If that’s the case, make sure you always have treats handy so that you’re ready whenever the opportunity presents itself. If you’ve used a clicker for training in the past, or want to start using one now, you’ll want to start by making sure your dog learns or remembers that the sound of a clicker means that a treat is coming. Start by just clicking and rewarding your dog without asking for any behaviors first, then work your way up to commands that your dog already knows before moving on to new things. To teach your dog to “speak,” do something you know will trigger him to bark, such as ringing the doorbell. As soon as he barks, say “speak” and give him a treat. After doing this a bunch of times, just give him the command “speak,” and if he barks, reward him handsomely. After asking your dog to “speak” or waiting until he decides to bark, say “quiet” while sticking a treat in front of his nose. As soon as your dog stops barking to sniff the treat, reward your dog (with or without clicking first) with a treat and verbal praise. Once your dog understands that stopping barking earns him treats, start giving him less time to quiet down before giving him the treat. For example, only give him the treat if he stops barking within 10 seconds. After that, start giving him less and less time to stop barking before you reward him with a treat. Once your dog stops barking immediately upon hearing the “quiet” command, increase the amount of time you make him wait before rewarding him with a treat. Start with just a few seconds and gradually increase the wait time. Eventually, you should only have to reward him with treats periodically for being quiet after hearing the command. 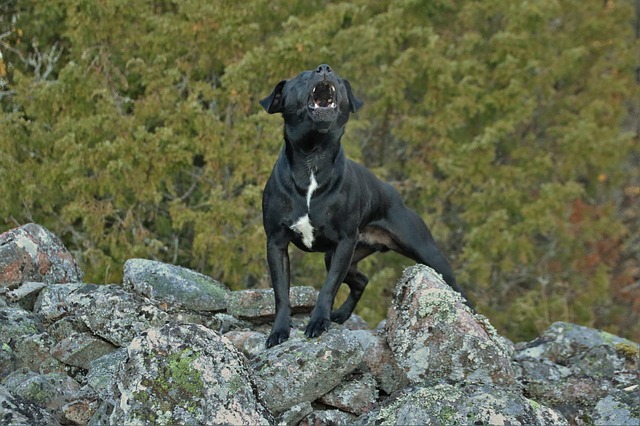 You should always give your dog verbal praise for following your commands. Once your dog has this down pat, he’ll suddenly have an “off” switch for his barking!